Hi all new to the forums but have been doing research for quite a while. I have learned quite a bit through the various forums such as www.mx6.com www.probetalk.com and this very site. I would like to thank anyone that posts more info to this thread!! I will update all info to this first post to keep things simple to find. I have noticed a general trend that many of us are confused about our motors and what differences there are from year to year, j-spec ect. (I know I was!!) My goal here is to list basic specs for the three KL variations, differences between each one, and clear up common misconceptions in regards to compatibility and benefits of parts between the three. I have found all the information from the above sites and credit should be given to the above forums and their members. That includes members of this forum that add to the thread!! If any corrections or additions need to be made go ahead and let me know! I love to have accurate info and am happy to hear what others have to say. First off there are three main variations of the KL series motors that we will be working with... the KLDE, KLG4, and KLZE respectively. They are all 2.5L DOHC V-6 with 4 valves per cylinder, and where available in the Mazda 626, Mazda MX-6, Ford Probe, and other cars not sold in the U.S. The KL series was available in 1993 all the way up to 2002 in the U.S. The KL series lived longer outside the states, when/if production quit I am not sure. If you have a stock 1993-1997 Probe GT, 626 V6, or an MX-6 V6 you have a KLDE. A common upgrade is to swap the stock intake manifold with a KLZE manifold. 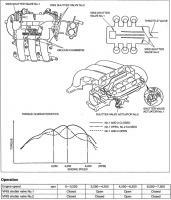 The DE manifold has oval intake runners while the ZE has square runners, so port matching is a must for best results. Also the ZE has no place for an EGR valve so if you live in a state with emissions testing or are annoyed by the CEL being on constantly this may not be the route for you. A good alternative would be to get a KLG4 manifold to swap. With proper porting and knife edging the gains will be about the same, but the runners are the same shape and it has an EGR valve. This makes it a simple swap. The KLDE uses a distributor cap. This has its ups and downs, but be aware that the distributor is driven by a gear with the cam shaft, so any swaps will need to have this gear. The cam shafts use whats called a Hydraulic Lash Adjuster or HLA for short. The HLA can cause many headaches with the car so be aware if you hear em tapping. The DE uses OBD-I and has some ECU upgrade options. From what I can gather the recommended boost pressure is about 6psi, although I have heard of a daily driver pushing 15psi for about 7 months on stock internals. If you have a stock 1998-2002 626 then you have the KLG4. People commonly mistake this motor for the KLDE, while there are many similarities there are also many differences. The KLG4 is the last revision in the KL series. Many issues that plague the DE are resolved by the G4. Power wise it is in between the KLDE and KLZE. The KLG4 was introduced in 1998 so needless to say you won't find a stock MX-6 or Probe with one in it. The G4 uses an electronic coil pack system instead of a distributor cap. The G4 uses better solid lifters as opposed to the HLA system in previous models. The G4 uses a MAF sensor for better intake flow and more accurate readings. The KLG4 has the lightest crank out of the three variations (I believe about 7 lbs lighter) this reduces rotating mass...its a good thing. The KLG4 can handle boost with stock internals best out of the three variations (according to members on the forums anyway) , that is it will be least likely to be damaged due to boost when compared to a DE or ZE with the same pressure under the same conditions...think apples to apples.. The KLZE is said to have anywhere from 190 horse power all the way up to just over 200 horse power. Uses more aggressive cams that allow for longer lift durations. There are curved neck ZEs that have standard compression pistons, and standard compression cams! So be sure to get a look at the stamp on the cams if you are considering a ZE. Thanks to MonoxideChild for the info on that! In a nutshell the extra power comes from higher compression pistons, different intake manifold, and more aggressive cam shafts. I don't know is weather the ZE or the G4 intake manifold flows better. Seems like everyone has their own opinion with no info to back it.... I have come to the general understanding that either will flow better than the stock DE IM... so if you have any info on this lets hear it!! I know the DE and G4 are non-interference motors. 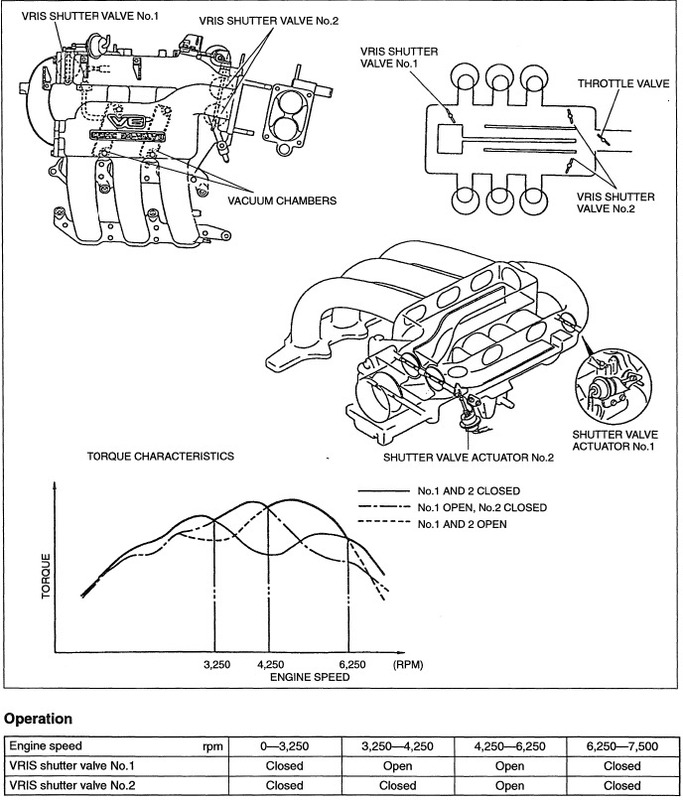 I would assume that the ZE IS an interference motor due to the flat top pistons.... but im not sure. Thats all I can think of right now, but if anyone has additions feel free to post em up! there are also ODB-II KLDE's. 95 is the crossover year, then 96-97's are ODB-II. you can use a milly, or de manifold on the ZE block. there's no reason it wont fit. when it comes to the KLG4 vs KLZE heads, pic which ever head you have. if you have a oval port head, use the G4, if its a square port, use the ZE mani. you should add info on the millenia also. thats another great source for motors. and usually the one i try to grab before a KLDE out of a probe/mx6. Ah I completely forgot about the Millenia!! Well now I have another bit of searching to do. Not sure why but whenever I think of the Millenia I always think of the 2.3 Miller cycle.... love the way that motor sounds! Speaking of the Millenia S im pretty sure we can use the fuel rails off of em... Could be a cheap injector upgrade if one was at a junk yard. Yup. The milly S injectors are probably the most common injector used as an upgrade. Th older mazda JE used the same ones also. And can be found a bit easier too. I knew about the Millenia S, but not the Mazda JE, which if anyone cares could be in the 3rd and 4th generation 929 and 1st generation MPV (according to Wikipedia). Lots of good information on this post. One thing though, when it comes to the compression ratios there are a lot of different numbers thrown around. I learned the KLDE and KLG4 were around 10:1 while the ZE was 11:1. Which ones are correct? For future reference, it's possible to build an engine using some parts from all of these motors that would put out the same power as a ZE, but still have the EGR for emissions? I like the lightweight crank from the G4, the beefier valves and springs from the DE head, and the ZE cams and pistons. People have at least claimed that a ported DE mani will flow more than the ZE, plus it has the EGR. There were some dyno plots on PT, too from a Russian member. This is really cool to get all of the info in one place. That is great to hear that there are actual dyno plots! I may have to track the thread down and post a link.. So the DE has better valves and springs?? I have never heard that, but a good bit of info to add to the thread. I really want to put as much solid info I can find into the thread. There are just way too many rumors floating around about the KL series in general, so it makes it super hard to find more info that is fact! I am currently looking into the Milly motors... once I sort through all the stuff and find good solid info ill be sure to post it up. If I posted all the info ive found that was not backed or the "my buddy has a... and he says it..." stuff this thread would be much longer lol. Also just want to throw this out there, I will copy some of the info out of ur posts and update the first one.. If you don't want me to do that just let me know!! I want to keep it simple to look at and find the info instead of going through many posts for one tid bit of info. I DONT want to take credit for any of the info, since its not my info to start with, I am just tryin to sort it out and arrange it in one place. Thanks for all the added info guys, and keep it coming! its mainly the DE retainers. the ZE's have a tendency to break when pushed to higher RPM's. Alright, I found the dyno plot on PT. It was a bit buried in the photo section. I read through most of the thread before, and there was a appreciable difference between the ported heads of the DE and ZE. What I'm gathering from the first two graphs is that the ZE head had to be improved but still running the stock valves to match the DE head stock. That's good info. So, you should be able to make a KL with over 200hp by using different parts from all three? Yeah, that's what it looks like. I can't remember where I read it, but I remember reading in a thread somewhere that there were some KL's used for some race series that were making over 400hp NA... I haven't heard of anyone else making anywhere close to that kind of power, so I'm not sure if it's even possible, and if it is, I have no idea what their secret is. There's too much of that "I've heard" info about these engines, as itsamecameron said. I want to know if it's possible to build a 200+hp KL that can pass emissions. I live in one of those unlucky areas that "cares" and I'm not in a position to move for a few years. Down the road, that will definitely affect where I live. I also found this thread on PT demonstrating the clearly visible difference in DE and ZE power. The vids in the first post are awesome, but the thread goes downhill quickly. KLZE camshaft, pistons, connecting rods maybe? I suppose it really doesn't matter which is the "base", I simply went with the KLG4 because that's what I have and it has solid lifters meaning more power. Is there any different between the DE and G4 intake manifolds? Just in case you want to know here is what your VRIS does for you! im pretty sure only the milly s injectors fit, not the rail itself. but havent tried myself. just from what ive heard. and there really is no reason not to use the correct rail, to match whatever manifold you are using. just to keep it simple. its not like they dont flow enough. if your that worried, you should be upgrading to a dual feed rail then. not fixing something alot less important. lol. and i dont see why a MSD window switch cant be used to control the VRIS opening. its simple, cheap, and readily available. Still cant find if just the injectors will fit, but like MonoxideChild said the injectors will fit our rail so thats most likely the best option. But wow that MSD switch is a much better option!! didnt even know it existed so thanks a bunch!!!!! From what I can gather you need two of em.. one for each VRIS point... Anyone have em so we can verify that? Itsamecameron, you listed items that you would include in your build on the last page. One of them was a good exhaust system. Personally, I would save the money and leave the exhaust stock after the headers. I'm not sure how many are aware of the difference an exhaust cutout makes on the KL's. I know I didn't know until maybe a month ago when I stumbled across the vids myself. I hope I wasn't the last one that didn't know about it. Here's an example of the very noticeable difference between closed cutout and open cutout. In the first race, the cars are pretty even, and finally the camera car pulls. In the second race, different story. Can we get this stickied? It's really informative and an excellent collection of knowledge! 1. The springs being softer allows for more valve float which apparently allows more slapping of the camshaft against the lifter. This smacking from the top as well as the smacking from the spring on the underside during valve float periods is very stressful on the retainers. 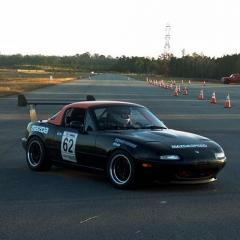 Why did Mazda put a softer spring in? To keep the HLAs quieter. But, the downside is a retainer that is more prone to abuse, because lets face it. We all love to wind up those KLZEs clear to redline. They pull all the way..
2. The other reason they break is due to a manufacturing problem that left burrs on the ends of some of the valveprings. Why this only happens on ZE intake valves, nobody is really sure.. But, it could be due to the valve shape. The cross section of the 03 or ZE exhaust valves is a circle. If you cut the spring and look at the face of the cut, its circular. Well, on a ZE intake valve, it is square (or diamond shape due to the way its oriented)... This could be the reason that the ZE intake valves have burrs on them, or perhaps when machining this shape of a spring, the burring is more prevalent... I'm just speculating, but those are the only differences between the ZE intake springs and the other KL springs..
To recap, the spring is softer, and it has a different cross sectional shape. " Another guy said that KL's come with a 3 angle valve job from the factory, which is why they flow so well, but I thought that there was a lot to be gained by porting? That's also the first time I've heard that about the 3 angle grind. Haha, it was probably just wishful thinking on his part! I'll try to continue to add info as I find it on my personal quest to seek the best parts for a frankenstein KL. you def want a klg4 crank. it was a big secret to locals for the last decade, but over the last year, other realized it also. but the klg4's crank is over 10 pounds lighter then the older cranks. that plus a fidanza and a set of light weight wheels would be a real nice combo. Yes, that's definitely on my list. The problem is finding a 98-02 626 parts car, because that's the only thing that they were in, right?